What Makes for an Award-Winning Active Community? Pictured above: Fountain and Clubhouse at SummerGlen in Ocala, FL. Welcome to our occasional weekend newsletter, which focuses on interesting active adult and 55+ communities and the issues attached to them. More than half of the children who live in Lake Wobegon might be above average, but that isn&apos;t the case when it comes to active communities. To help make sure you end up in a good one, this article reviews 6 criteria that we think belong to award-winning communities. We encourage you to add your own criteria, and nominate ones you think should get an award. Avalon is a very large new urban style community in Orlando. It is open to residents of all ages. There is a large downtown you can walk to, and you can choose from single family or multi-unit homes. 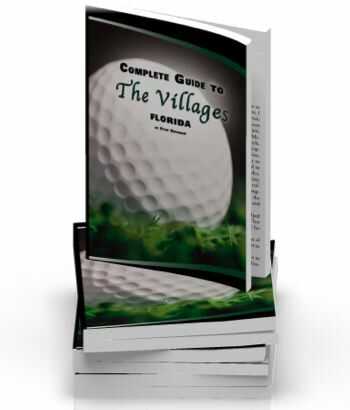 It has won awards in the Florida Communities of Excellence competition. We are proud to have SummerGlen as a Top Listing at Topretirements. 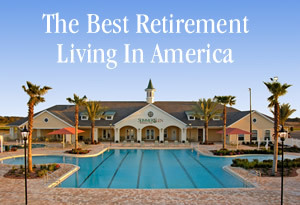 It has been voted three times as one of the Top 100 Best Master Planned Communities in America. SummerGlen offers affordable, easy to care for homes in a relaxed country setting. Amenities include 18 hole golf and more. Hampton Lake in Bluffton is a winner of several important awards. It won in the Best of American Living competition in 2008 and the NAHB 50+ awards in 2009. Hampton Lake is also a featured listing at Topretirements. 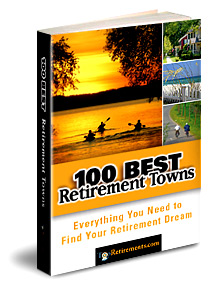 Find out more about what it&apos;s like to retire in various states with these Topretirements mini-guides to the best towns, tax information, climate, and more. Retire in Beaufort - But Where? Maybe it&apos;s been a while since you logged into Topretirements or the Retirement Ranger, and what was your user name and password anyway? No problem, go to the "Help" link at the bottom of every page and you should find all the help you need getting back on track. Looking for a custom retirement report? Take our free, 10 question Retirement Ranger quiz and narrow down your possibilities. For example, select only towns in the west, or only small towns. Or, ask for towns with higher than average cultural appeal. (Note: if you have already registered at Topretirements you must login using the user name associated with your email address. Use Help or Contact us if you have trouble). Retire to a Cruise Ship! Copyright Topretirements.com© 2006-2011 jbEmarketing LLC. All rights reserved.